Caela Carter is a writer and an educator. She is a graduate of the New School’s MFA program in writing for children. 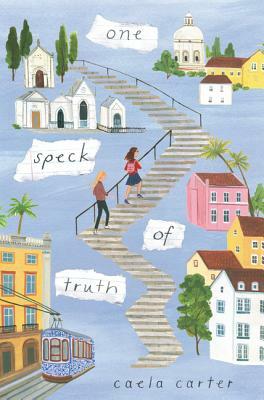 She has written three books for middle grade readers: One Speck of Truth, My Life with the Liars, and Forever, or a Long, Long Time, which received three starred reviews, among other accolades. Caela lives in Brooklyn with her family. You can visit her online at www.caelacarter.com.